Doppio is an effort to bring the JVM languages to the web by implementing a JVM in Coffeescript. While the JVM specification is technically language-agnostic, the original JVM is written in C and C++, and its architecture reflects that. We'll discuss some of the challenges of implementing the spec and porting the libraries to a high-level, non-systems language, particularly when it does not expose threads directly. We'll also talk about how NodeJS was invaluable for development. 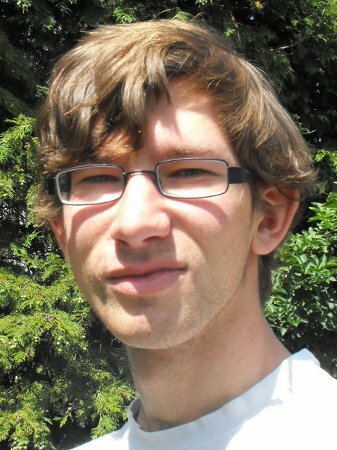 Sébastien Doeraene is a PhD student at the Université Catholique de Louvain, Belgium. His research is focused on the use of conflict-free replicated data types for large-scale distributed programming, from a language design point of view. He is the lead designer and developer of Ozma, an extension of Scala with Oz concurrency, as well as co-lead designer and developer of Mozart2, a new implementation of Oz. Outside of the programming language community, he was also the winner of the programming contest Prologin in 2010.